Mark welcomes Cliff Barackman to the show. Cliff Barackman’s growing interest in Bigfoot phenomena drove him to travel to various parts of the country to look into the mystery. It was in college that Cliff’s interest in Bigfoot moved from a quirky interest to an obsession. On his first expedition to Bluff Creek, California in 1994, he stumbled across possible Bigfoot footprints, as well as tree damage evidence and a possible hair sample. Cliff’s interest in physical evidence led him to take a keen interest in footprint casts. Over the years, what started out as the gathering of a few Bigfoot souvenirs has eventually led him to holding one of the largest cast collections in the country. 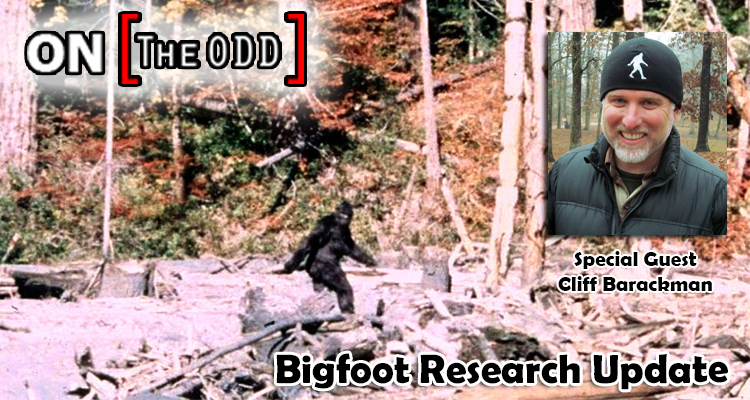 A former member of the BFRO, and a current investigator for Animal Planet’s Finding Bigfoot, Cliff’s expert opinion, level-headed approach and analytical mind have proved invaluable. When numbers need to be extracted for the sake of data analysis, or when a footprint needs to be permanently recorded, he is there to offer his unique skills.